Since the beginning of the acquired immunodeficiency syndrome (AIDS) epidemic in the early 1980s, many individuals living with the disease have had difficulty finding affordable, stable housing. As individuals become ill, they may find themselves unable to work, while at the same time facing health care expenses that leave few resources to pay for housing. In addition, many persons living with AIDS struggled to afford housing even before being diagnosed with the disease. The financial vulnerability associated with AIDS, as well as the human immunodeficiency virus (HIV) that causes AIDS, results in a greater likelihood of homelessness among persons living with the disease. At the same time, those who are homeless may be more likely to engage in activities through which they could acquire or transmit HIV. Further, recent research has indicated that individuals living with HIV who live in stable housing have better health outcomes than those who are homeless or unstably housed, and that they spend fewer days in hospitals and emergency rooms. This book describes research that shows how housing and health status are related and the effects of stable housing on patient health. It also describes the Housing Opportunities for Persons with AIDS (HOPWA) program, the only federal program that provides housing and services specifically for persons who are HIV positive or who have AIDS, together with their families. 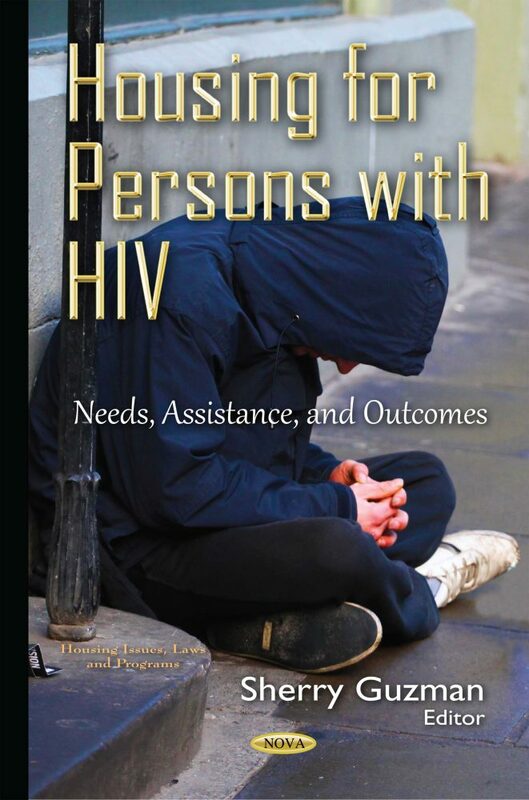 In addition, the book describes how a small portion of funds appropriated through the Ryan White HIV/AIDS program may be used by states and local jurisdictions to provide short-term housing assistance for persons living with HIV/AIDS.